GST Michigan Works! administers a variety of programs using federal, state and foundation grant funding. Programs offered include, but are not limited to, the Workforce Investment Act of 1998, the PATH program and others dependent on funding. 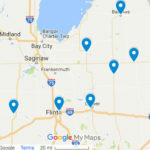 Although some programs require specific eligibility or a referral, ANY job seeker customer can use Employment Services offered in the convenient, user-friendly One Stop locations in Genesee, Huron, Lapeer, Sanilac, Shiawassee, Tuscola Counties. 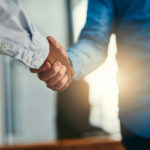 Job seekers are encouraged to upgrade their skills and hone their job seeking abilities to move forward successfully in Michigan’s transitioning economy. GST Michigan Works! is one of sixteen (16) Michigan Works! Agencies (MWAs) operating Adult and Dislocated Worker programs on a year-round basis. The funds allocated to the MWAs must be used to provide career (basic and individualized) services and training services. Comprehensive specialized assessment, individual employment planning, career facilitation, short-term pre-vocational skills, case management, literacy activities, out of area job search, relocation assistance, internship and work experience. Occupational skills training, On-the-Job training (OJT), workplace training with related instruction, registered apprenticeship (which incorporates both OJT and classroom training), incumbent worker training, pre-apprenticeship training, skill upgrading and retraining, entrepreneurial training, transitional jobs, adult education and literacy training provided in combination with any other training services. For more information about eligibility, contact your local GST Michigan Works! One-Stop Service Center. Effective January 1, 2013, the PATH program replaces the Jobs, Education, and Training (JET) program and is the work participation program required for families receiving cash assistance through the federal Family Independence Program (FIP). What is the PATH program? The new program features a 21-day application eligibility period (AEP) during which Michigan Works! Agencies (MWAs) assess, evaluate and more effectively prepare applicants to attain employment, meet federal work participation requirements and work towards self-sufficiency. The primary goals of PATH are two fold. First, PATH will identify barriers and help participants connect to the resources they need to obtain employment. Second, the new program will help Michigan reach the federally mandated fifty-percent (50%) work participation rate. Work participation is defined by how many participants secure employment and the number of participants engaged in job preparedness and search activities. GST Michigan Works! is committed to assisting veterans their families by providing resources that will help veterans and their eligible spouses find employment or entrepreneurial opportunities. The Veterans Service Division staff will help identify possible educational/training programs under the various programs and services, to aid veterans and their eligible spouses in becoming job-ready. Click Here to find out more. Rick Tuckey, Veteran Services Liaison – GST Michigan Works! GST Michigan Works! offers WIOA Youth Services to assist young people, ages 14-24, who face significant barriers to success in the labor market, by providing resources and support to overcome those barriers and successfully transition to self-sufficient adulthood. Tutoring, study skills training, alternative secondary school offerings, dropout recovery services, paid and unpaid work experiences, including summer employment opportunities, occupational skills training, education offered concurrently with workforce preparation, leadership development opportunities, supportive services, adult mentoring, follow-up services, comprehensive guidance and counseling, financial literacy education, entrepreneurial skills training, provision of labor market and employment information, and activities that help youth prepare for, and transition to, post-secondary education and training.